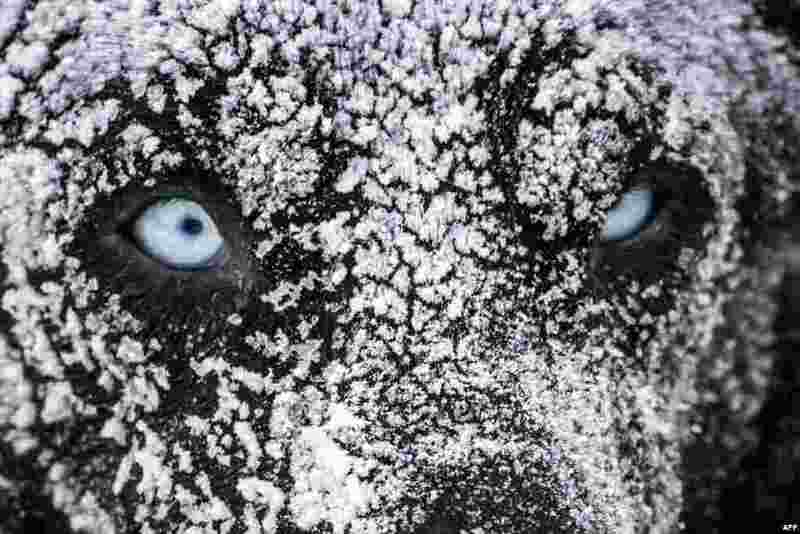 1 A sledding dog is covered in ice after spending the night in the open air with his musher at the polar base of Val-Cenis, as they ready for the next stage of the 12th edition of "La Grande Odyssee" sledding race across the Alps in Val Cenis Lanslevillard, France. 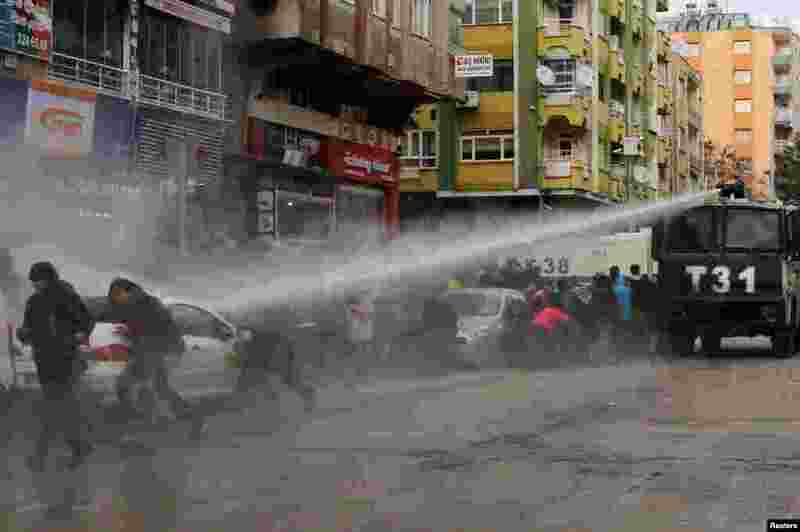 2 Turkish riot police use a water cannon to disperse Kurdish demonstrators during a protest in the southeastern city of Diyarbakir, against a curfew in Sur district and security operations in the region. 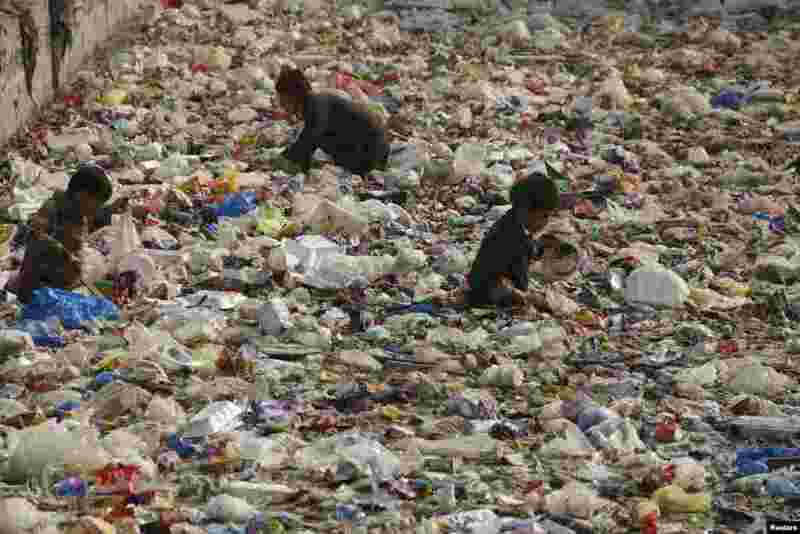 3 Children look for recyclable plastic in a canal in Peshawar, Pakistan. 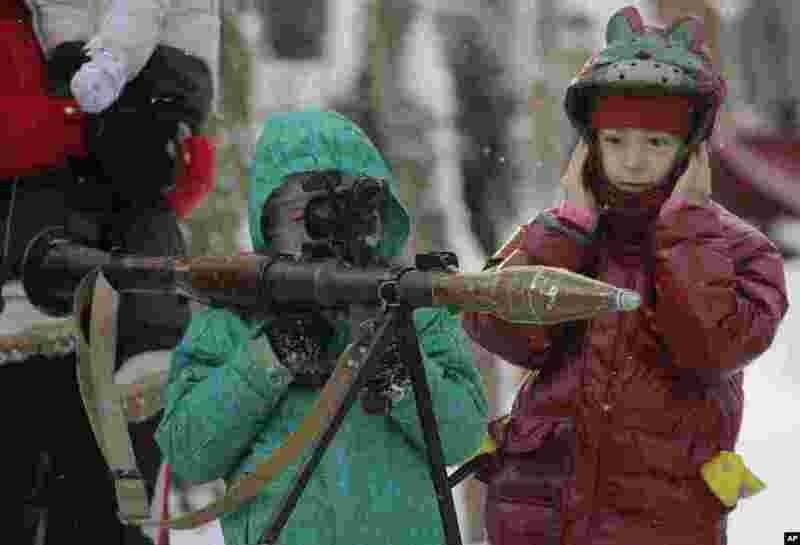 4 A boy aims an RPG at a weapons exhibition during a military show in St.Petersburg, Russia.